Hi there! I hope you had a great weekend and that you have had a good start to the new week! In the UK we are enjoying a long weekend as it’s our Whitsun Bank Holiday and the kids will be off school for the week – lucky things! 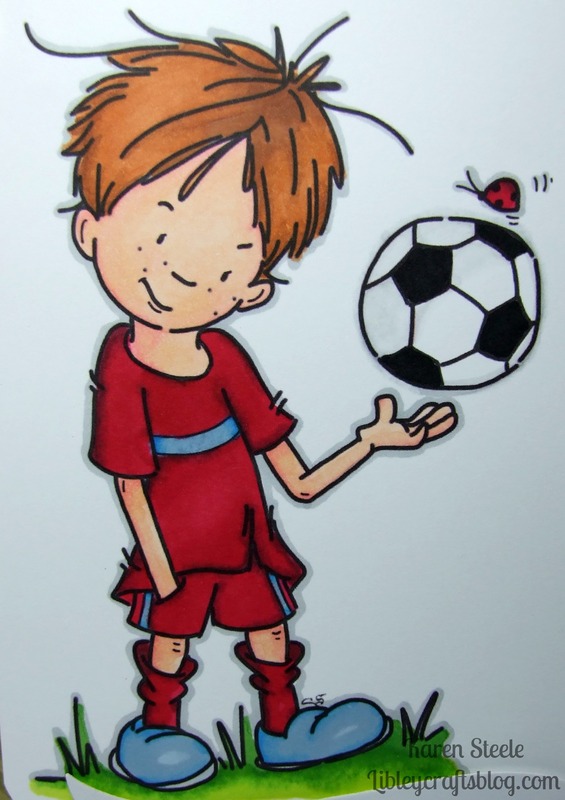 Today I’m sharing this card that I made for my son’s 9th birthday last week and I have used this fab digi from Sassy Cheryl’s Stamps called The Game is in the Player – rather apt for my little football star! 🙂 It doesn’t seem 5 minutes ago since he was born! I went into hospital just after I’d put my then 2 year old daughter to bed- gave birth and was back home before she woke up the next morning to find her little baby brother waiting for her! It was pretty speedy work the second time around – completely different from the first! 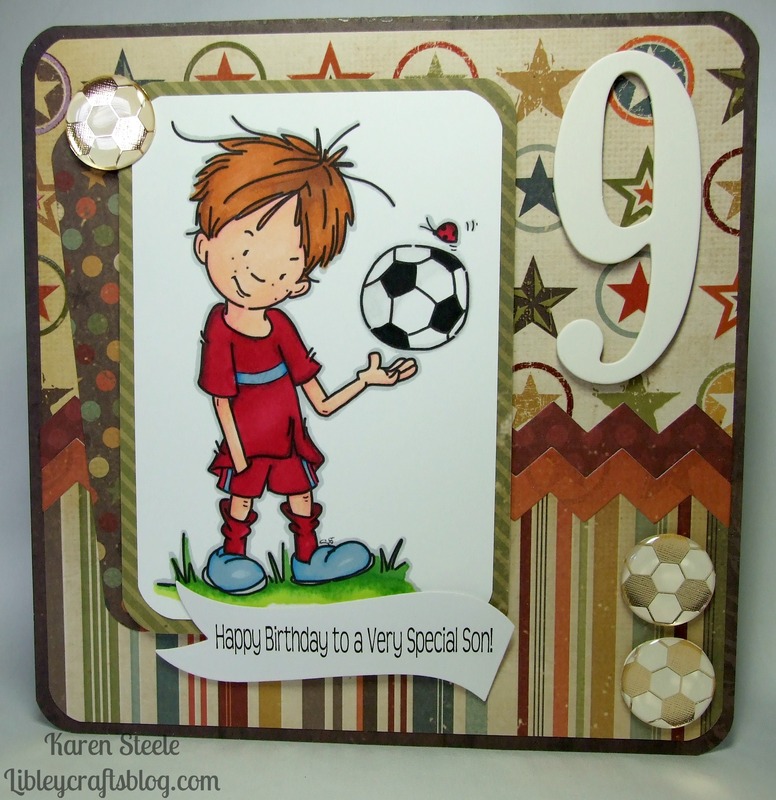 I also used the following: Spellbinders Banner Die, Spectrum Noirs, Promarkers, papers from ‘Awesome Boy’ – Recollections, chipboard number, some epoxy stickers and the chevron dies are by My Favorite Things. < Previous “Happy Birthday to Moo!”…. I do so love your way of mixing pattern and colour. Another gorgeous card! Super cute, Karen! Love the sweet image and fun mix of papers! Very fun image…what an awesome card!! Great card! Love the papers and the embellishments – a perfect compliment to that cute image!! A special card for a special boy. I think everything on here works together so perfectly, it’s very boyish and I think adding the age is a nice touch on children’s cards. Perfect papers and image for a boy, Karen. Happy Birthday to your son ! Oh this seriously could not be any more awesome!!!! LOVE LOVE LOVE the papers and colors you used!! Fantabulous card, Karen! !